Durable plastic construction and lightweight with comfort grip handle. 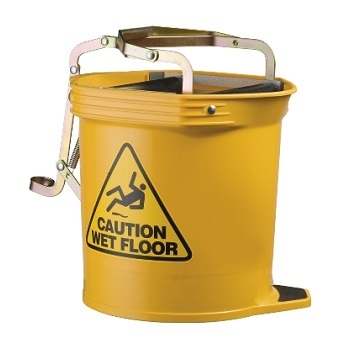 Heavy duty 12 Litre Mop Bucket helps reduce water consumption. 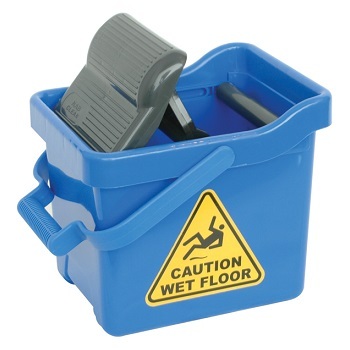 Quick and easy foot press mechanism for effective and safe wringing of mop. Carry handle for easy mobility. 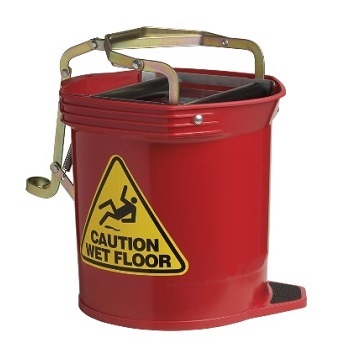 Industrial grade heavy duty 16 Litre Mop Bucket. 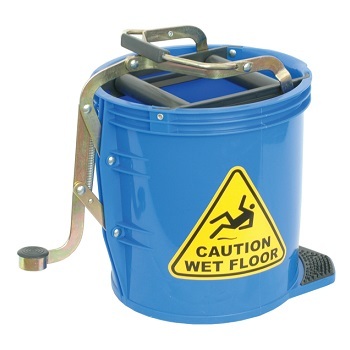 Great for mopping spills on warehouse, factory floors etc. Non-slip foot pedal and castors for easy mobility. 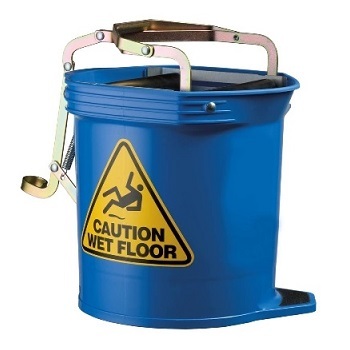 Industrial grade heavy duty 16 Litre Roller Wringer Mop Bucket. Extra wide opening to accommodate larger mop heads. 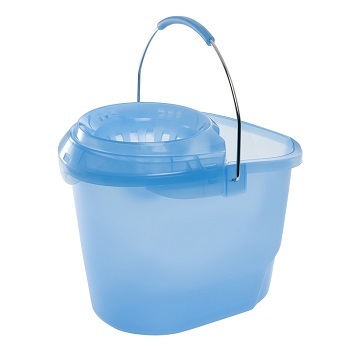 Heavy duty plastic body is lightweight and hygienic. 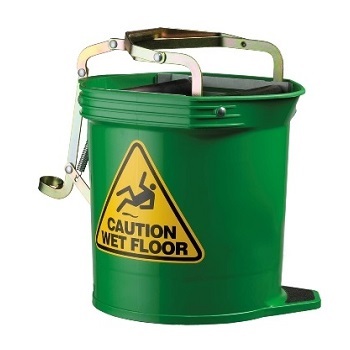 Non-slip foot pedal and castors provide greater maneuverability.